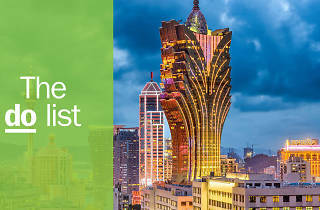 Macau might be known as the "Las Vegas of Asia," but there’s so much more to this city than just casinos, five-star hotels and the Grand Prix—just check out our list of best things to do in Macau. 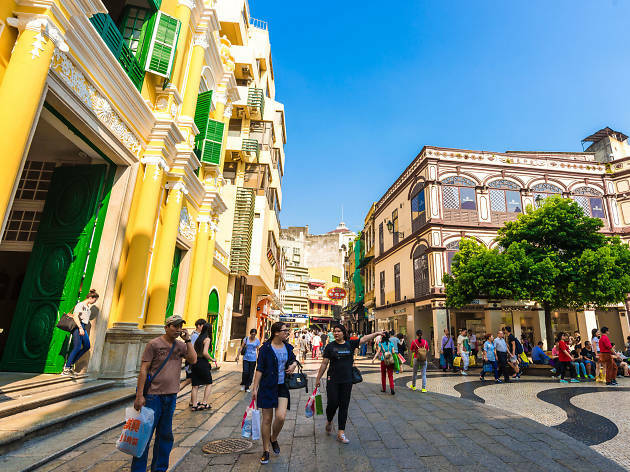 A former Portuguese colony for over 400 years, Macau shares its semi-autonomous status and East-meets-West vibe with Hong Kong, but has its own relaxed charm. The region's unique Eurasian heritage is evident in everything from the local food (often cited as one of the world’s earliest fusion cuisines), architecture, customs and language. 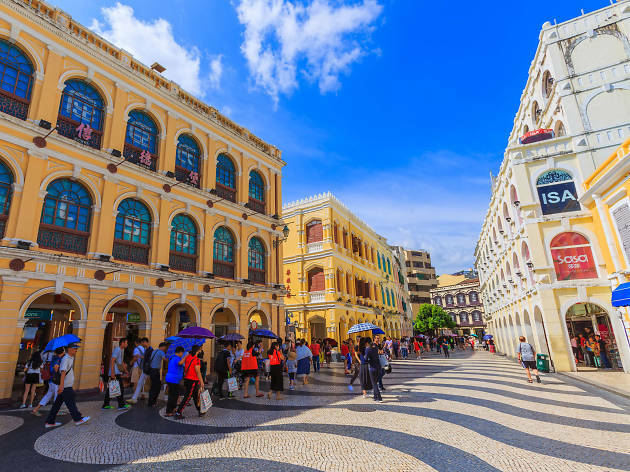 Despite being compact in size, Macau’s beautifully preserved historic sites, peaceful parks and beachy shores make it a one-stop destination for travellers of all kinds. Read on for our tips on where to eat, shop and play in this underrated gem. What is it? This stretch of land is what makes Macau the gambling capital of the world. The strip’s casino resorts have all the luxury trappings you’d expect (glamorous restaurants and clubs) and some that you wouldn’t (an indoor canal complete with gondolas). Why go? You can’t go to Macau without venturing into one of the casinos. Wander around the gargantuan Venetian, which is practically a self-contained city, or visit the Hollywood-themed Studio City for a ride on the lucky figure-8 Ferris Wheel. What is it? The world’s biggest water-based stage show, written and helmed by Cirque du Soleil director Franco Dragone. 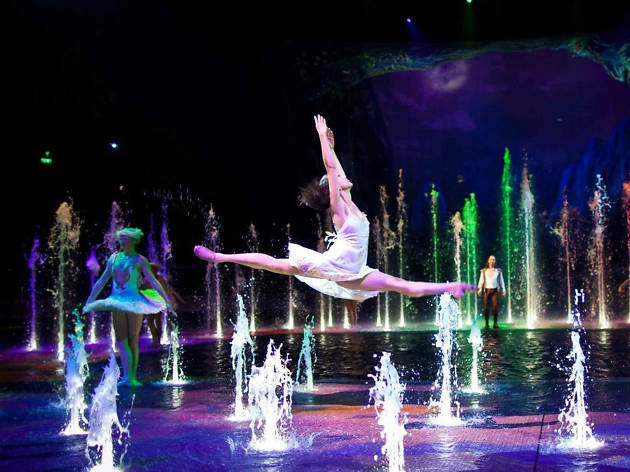 ‘House of Dancing Water’ incorporates acrobatics, theatre, and a 14 million litre pool to tell an epic love story. Why go? To witness the sheer spectacle of it all. The show’s been hailed as a must-see Macau attraction for good reason – there’s nothing like it anywhere else. What is it? This picturesque, pastel-hued village on the southern coast of Coloane may seem quaint in comparison to the bright lights of Cotai, but its old-world charm and cobblestone streets consistently draw crowds. Why go? 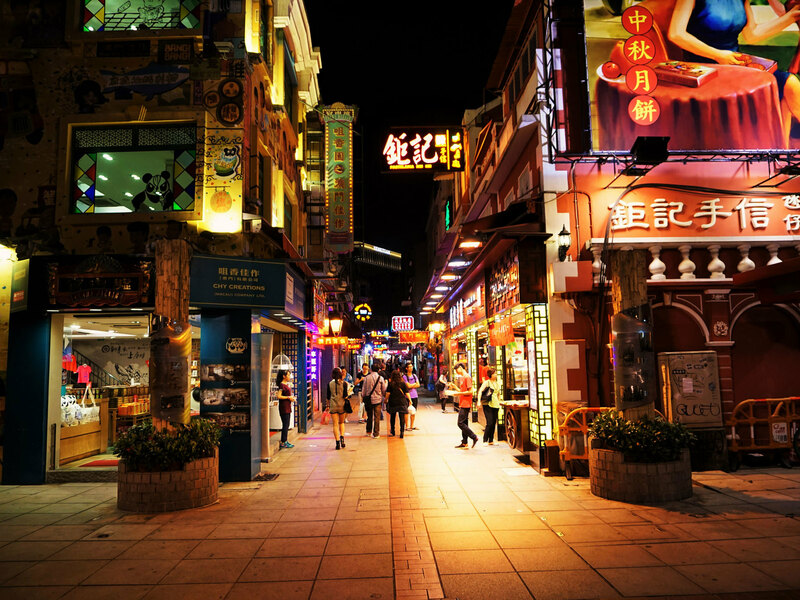 To explore the traditional side of Macau. Plus, photo opportunities are everywhere from colourful buildings to the black sand of Hac Sa Beach, and old dockyard. It’s also home to the original Lord Stow’s Bakery, which is said to have the best Portuguese egg tarts around. What is it? 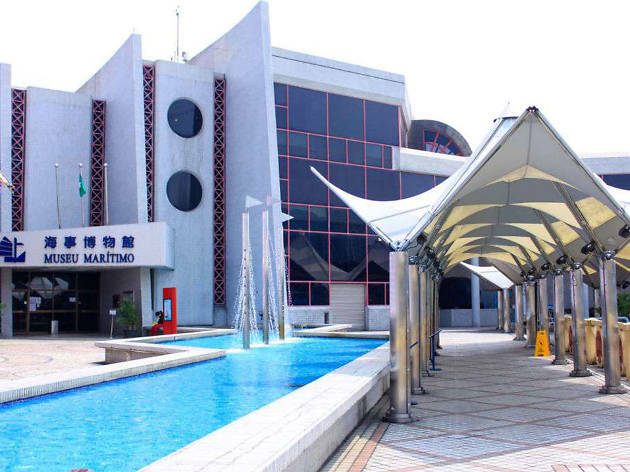 A collection of over 20 historically significant landmarks – covering religious structures, public squares, and military barracks – which represent Macau’s unique Chinese-Portuguese heritage. Why go? 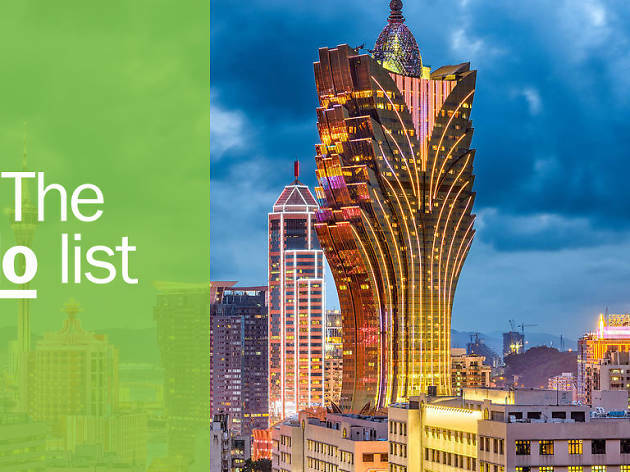 You’ll see Macau’s beautiful historical landmarks, learn about the city’s lengthy colonial era, and hit all the neighbourhoods mentioned in this guide in one go. It’s a UNESCO World Heritage Site for a reason. What is it? 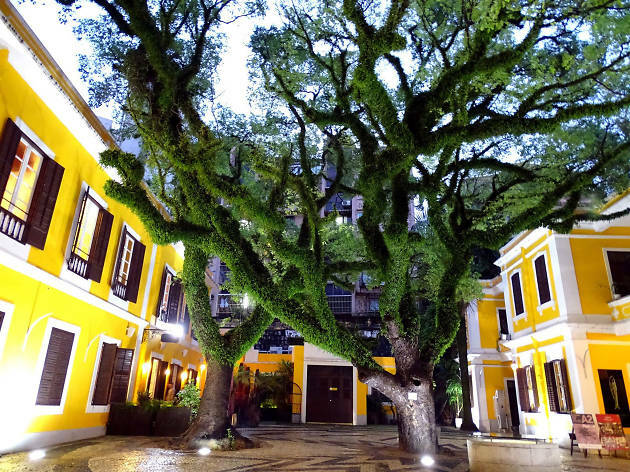 This breathtakingly beautiful yellow colonial villa is best known for housing an upscale restaurant serving sophisticated Portuguese-influenced fare, but it also contains an art gallery and shop specialising in artisanal Portuguese products. Why go? 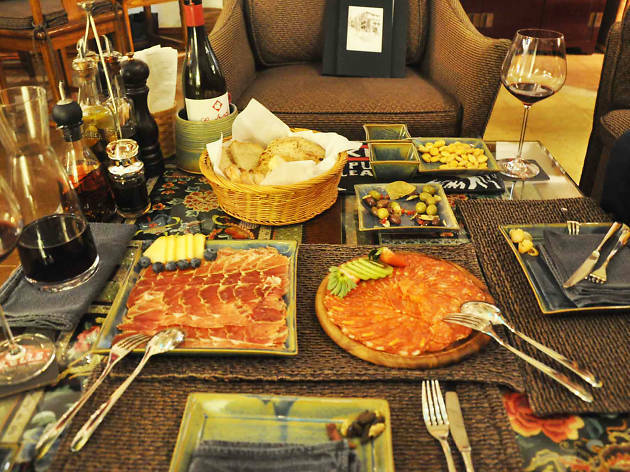 Whether you’re looking to mark a special occasion or grab a coffee after visiting St. Lazarus Quarter’s historic sites, Albergue 1601 is a great choice. Weather permitting, there’s no better setting for a trip-defining meal than under the courtyard’s camphor trees. What is it? Once a rustic fishing village, Taipa’s profile has risen over the years, with esteemed restaurants and cool independent shops popping up between colonial museums and ancient Chinese temples. Why go? Check out the seafoam-green Taipa Houses Museum for a crash course on colonial Macau, or try Portuguese fine dining at Antonio. 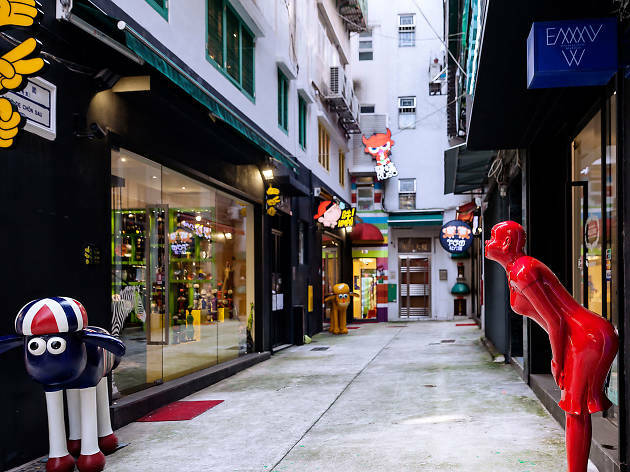 Trendy Taipa attractions include the Taipa Village Art Space (and its Instagram-friendly murals) and the café/gallery/shop Quarter Square. What is it? 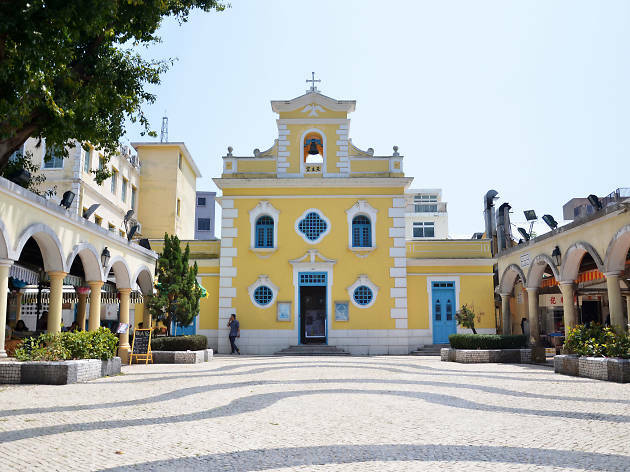 This five-storey building is Macau’s only museum of art, with exhibitions on Macanese artwork from all eras, visiting collections from international organizations, and a library dedicated to the visual arts. Why go? It’s an interesting (and free) way to spend a few hours in Macau. The permanent exhibitions tend to have a historical bent, while temporary exhibitions often feature thought-provoking contemporary art from local and international artists. What is it? Named after the man who popularised bungee jumping, AJ Hackett Tower is – unsurprisingly – the site of Macau’s only commercial bungee jump facility. Why go? If you’re not content to commemorate your visit with the usual tchotchkes and selfies, consider bungee jumping from one of the highest commercial facilities available – you’re never going to forget that. What is it? 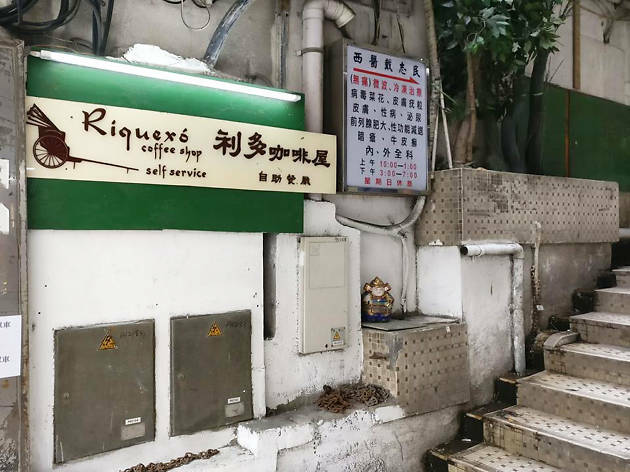 Riquexo (pronounced Rickshaw) is the epitome of Macanese home cooking. Run by 102-year-old Aida de Jesus, this cheap and cheerful canteen-style operation specialises in family-style food with Indian, Malay, and African influences. Why go? Put simply, it’s the best place to try local comfort food. Think stews, curries, Bacalhau (codfish casserole), and minchi, a beloved dish of ground meat, potatoes, and rice with a decidedly Macanese flavour profile. What is it? An artsy, lantern-lined little alleyway near the Ruins of St. Paul’s, teeming with independent shops, boutiques, cafés, and restaurants. Why go? Besides the street’s Instagram-friendly looks, it’s incredibly fun to window shop at Patio de Chon Sau. The quirky, Wonka-esque Buddy Candy shop offers zany treats like two-kilogram gummy bears, while Paper Scissors Rock sells South African-themed handicrafts, homeware, and souvenirs. What is it? 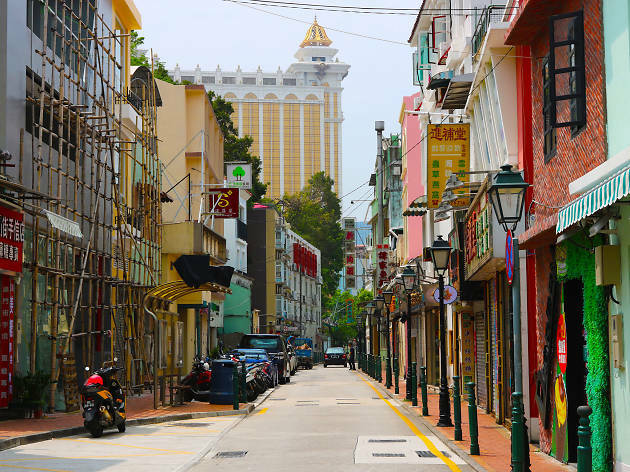 This small, pedestrian-only street in Taipa is famed for being a culinary hotspot, with snack stalls, specialist food stores, traditional bakeries, and more to choose from. Why go? To fill your belly with local snacks. Besides the usual egg tarts, don’t miss the serradurra (sawdust pudding), almond cookies, pork jerky, pork chop buns, and peanut candies. What is it? It might be a stone’s throw from the Ruins of St. Paul’s, but this elegant wine bar is far from the crowd. 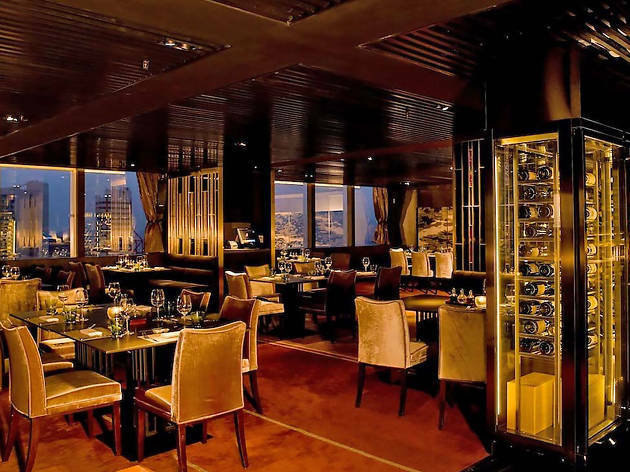 With its extensive wine menu, antique furniture, and jazz collection, MacauSoul is the city’s classiest watering hole. Why go? In the ten years since it opened, MacauSoul has built a menu of over 400 Portuguese wines and cultivated a loyal fanbase along the way. As its name suggests, this welcoming wine lounge has got tons of soul. What is it? Live Music Association is the underground music venue in Macau. While global popstars stage grand performances on the Cotai Strip, this nondescript venue plays host to the best and brightest alternative acts from Macau and beyond. Why go? 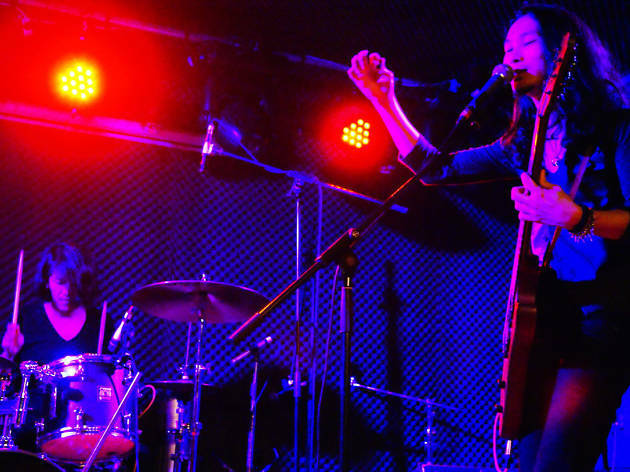 Whether you fancy swaying to along folk music, moshing to post-punk, or even catching an experimental film screening, Live Music Association is the place to support Macau’s burgeoning indie arts scene. What is it? In case the name didn’t make it clear enough, SKY 21 is high up. It’s popular for the same reason any urban rooftop bar is: it’s got great views. Why go? Come for the views of the skyline, stay for the wide variety of wine, spirits, and cocktails. Prices are reasonable for a rooftop bar, which is to say they’re only a bit pricy.